Fanatic have been part of the watersports scenery for a long time. 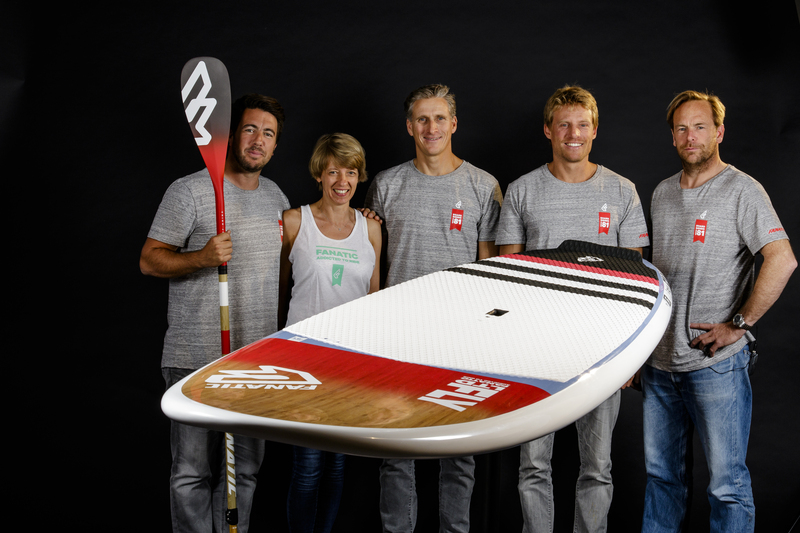 They were early adopters of stand up paddle boarding back in 2007 – right at the sport’s inception – and have been peddle to the mettle ever since. In our latest Behind the Brand feature we hooked up with Fanatic’s Craig Gertenbach and head designer Sebastian Wenzel for a look/see. CG answers in red, SW answers in black. Tell us about Fanatic’s history – how did the company come about? Fanatic was created in 1981 and was a board riders company from the start, offering windsurfing gear, snowboards, skateboards, surfboards, wakeboards and most recently SUP as a natural brand extension. Our rich heritage and technological experience made it really easy to navigate through the early days of SUP’s expansion, ensuring a leadership role in helping definine the sport and make it what it is today. It was on Maui around 2007 I guess. I had a quick go on a Mistral Pacifico. I had no clue what it was, really. I paddled in onshore conditions and in surf stance. I fell off left and right the whole time and had no fun at all. Only later, when I tried again in Mauritius with proper technique and conditions, did I discover it was good fun. Pretty much started here at home in Portugal properly in 2007 (after Mauritius). A friend and myself where the first to SUP in Portugal. Got any fond memories of your time stand up paddling so far? Yes! Chasing big waves on very big SUPs in the early days. Lots of broken leashes! What about land based activities – anything that gets you frothing like a silky offshore wave or flat water glass? Not much. I do some running, gym workouts and mountain biking to stay fit, but nothing beats being in the ocean. 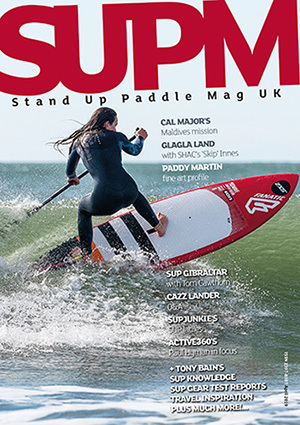 Where did the idea for a range of SUP products come from? Being based in Europe obviously helps us react to market trends. But having our team riders and designers constantly travelling to Hawaii or Australia helps keep us up to date with innovations and trends globally. It was clear right from the beginning that the USA and Australia would lead the market in composite board development, as they do today. We have great connections to both markets and can fully benefit from any new trends which get integrated into our latest designs. What´s not to like about SUP? Coming from wind/surf based activities it´s so accessible and multifaceted; a great family sport, high performance in waves and racing, plus touring; the options were and are endless, so it was a no-brainer. Although we have to admit at first glance it was always strange to see ‘sweepers’ out on the water! Now it’s commonplace. Was it tricky getting SUP off the ground in the early days? Not really, as it is so easy to understand and there was a lot of interest. Indeed. It took off really fast in countries with strong surf cultures: USA; AUS and France. But it was harder bringing it to the public in places like Germany, Italy and the UK, due to equipment size and the types of location (perceived) to be available. Then iSUPs showed up and the flat water appeal increased which opened up new doors. 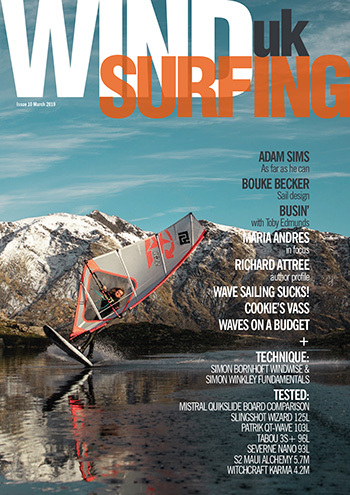 We try to split R&D of windsurfing and SUP into two teams. Sebastian mainly takes care of the SUP part, being located in Portugal, with a test team and plenty of visits from team riders and other testers. Whilst our windsurfing R&D is done in many different locations, matched to the conditions needed. Sebastian´s typical day will be filled with a lot of design work and testing, which he can organise around conditions, all three of his son’s surfing/SUPíng, so he is fairly flexible. But as the only board designer for both sports he is unique in the industry, so he is really busy. For myself in the office, it´s a typical 7.30am start. A mixture of sales and product oriented work, in Munich, with additional marketing stuff like team photoshoots. We do almost all the iSUP testing here in Munich too, which makes things really easy as you can schedule that with the best weather. Around 70-90 days travelling per year to suppliers, meetings, photoshoots, events – I pretty much always manage to fit in some R&D and trying new products during those trips, together with Product Manager Daniel Aeberli. What’s been key to Fanatic’s success within SUP? If you talk to the suppliers, then generally they will always tell you that windsurfing companies do have an advantage in that the structures are in place, fairly efficient but also they are very experienced, in terms of product management, distribution and marketing. That has been a big plus for us, as well as our 35+yrs of experience in the watersports market. Also not being able to rely 100% on distributors to pick up the bill on mistakes in product lines (we own most of our agencies/central warehouses) makes us very careful about how we approach the market as each product must fit into our compact yet complete line. This is a culture established out of necessity, but also one that we are very comfortable with – Fanatic only introduces 100% finished products to the market that we think make sense for our partners to sell and push the sport forwards. 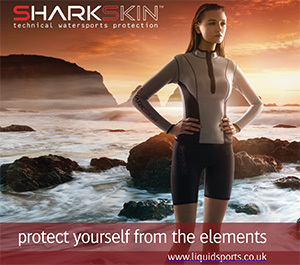 Of course shape wise, our big advantage is that Sebastian has many years of CAD experience, plus a huge databank to rely on – something which for a long time was very unique in the board sport business. In terms of change, how’s the sport moved on? Is it easier to sell SUP gear nowadays? The market has become very competitive – a variety of products are available as many will know. Inflatables took over a big part of the hard board market and we now invest a lot of time and money in that sector. It is just so easy with inflatables and the quality is (generally) good nowadays. I agree. Ease of storage, transport and durability make iSUPs very appealing. However, we are also seeing a swing back to composite boards in some markets as customers start specialising in wave/race or touring. Not everyone likes to keep blowing up their boards each session! And some paddlers want more performance. What’s the plan for 2017? Which areas will you focus on the most? For 2017 we have invested heavily in our range with new paddles/iSUPs/composite boards, so we´ll keep building on that and also try to give the market longer product life cycles on many models. This will make stocking easier and reduce closeout offers within retail establishments. In terms of R&D/development, the touring market continues to grow and we´ll keep working on that intensely, whilst family/entry level is, of course, a big focus too. Tell us about how you’re developing the Fanatic brand moving forwards. What about further plans to evolve, technologically or otherwise. No big changes to our strategy: we keep building on our current successes and are always on the lookout for new technologies – especially in the iSUP market. There have been amazing gains in reducing weights, overall quality and optics over the last five years – we are excited to see if we can keep leading in that area. What’s your most popular piece of equipment? Probably the classic Fly Air 10’4” Allrounder iSUP, although I always try and recommend touring boards to most of my friends for general paddling. As SUP got bigger so did the amount of brands offering gear. There are lots of products out there, especially in the lower priced segment, which do not offer the quality customers expect. It´s a challenge to differentiate yourself as a premium brand offering quality, service and experience – but it´s interesting to see that over the long term quality pretty much tops quantity. In time the market should stabilise for the benefit of customers. Stylemaster 9’0” or ProWave 8’8” – just great boards for surfing all types of waves. iSUP Touring 11’6” for family/cruising here in Munich and Italy. It’s simple/easy to transport four boards for all the family. For further afield trips I really like the AllWave range; easy to paddle and catch waves which equals 100% fun. Guincho Beach, Portugal: nice waves, from small to big and it’s pretty consistent. I really enjoy paddling on the local lakes around Munich: Chiemsee and Staffelsee for instance. There are so many to choose from, with longer tours or beer garden visits, which is always nice! For me it is more about waves than anything else. Waves is always special, but a great touring day with the family to a new location is also lots of fun! More water time in general! Big thanks, of course, not only to Sebastian and Daniel, but also our marketing department comprised of Klaas Voget and my wife Karin Gertenbach. They get Fanatic’s amazing imagery and materials out there and help showcase Fanatic SUP. Also thanks to the many other people involved from our graphic agency 3Deluxe, to all our staff in Molln, and our agents/importers; it´s a team effort!